Sherry is unique. It is magical and mysterious. The only true sherry in the world is produced in an area contained within a triangle formed by the cities of Jerez, Sanlúcar de Barrameda, and El Puerto de Santa María. This area, also known as the Jerez production region, is on the Atlantic Ocean flanked by the Guadalquivir and Guadalete rivers within a beautiful landscape of white rolling hills. In the next series of articles we will discover the unique characteristics of sherry wines, the amazingly long history of this wine-producing area, and the influence of its climate, soil, and grape varieties. We will also discover how the “must” or juice of the grapes becomes a young wine and goes through the unique aging system of “Solera y Criaderas” where it is transformed into our wonderful sherry wines. Sherry wines are the result of the influence of many different cultures that have left their mark in southern Spain for over 3,000 years. That’s right, three thousand years! Around the year 1100 B.C., the Phoenicians, a nation of traders who originated from the western Mediterranean in what is known today as Lebanon, founded the city of Gadir which we know today as Cádiz. 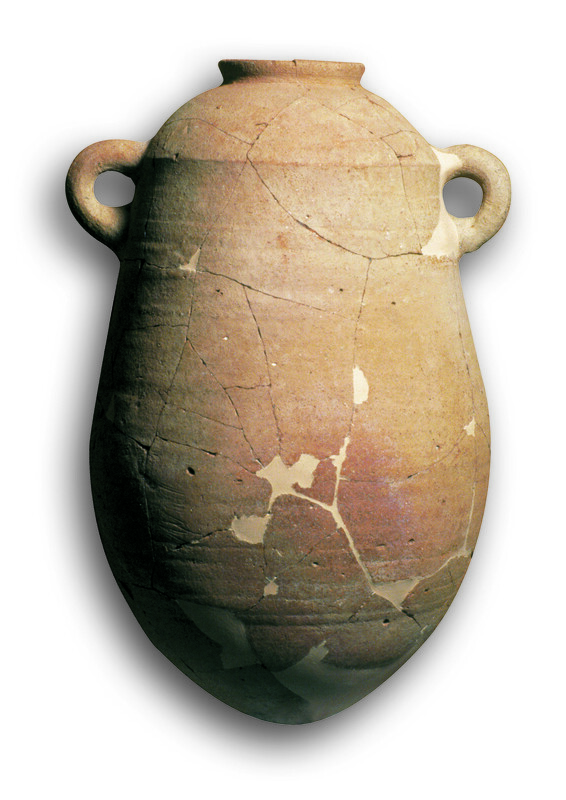 Wine presses have been found in the archaeological sites of Phoenician origin in the Poblado de Doña Blanca which is located near El Puerto de Santa María. This confirms the fact that the Phoenicians brought with them the art of cultivating vines and making wine. They also founded a settlement which they called Xera which is one of the first references to the city of Jerez. In the following centuries, the Greeks, Carthaginians and Romans further developed the wine industry in this area. The Romans called Jerez, Ceret. Its wine, Vinum Ceretensis, was exported to all points of the Roman Empire. From the very beginning, sherry wines have been considered to be “traveling” wines. In the year 711 A.D., the Moorish occupation of the Iberian Peninsula began. It would last for over five centuries. Despite the cultural prohibition regarding the consumption of alcohol, the area of Sherish, which was the name given to Jerez by the Moors, continued to be a wine producing center. The rationale for the continuation of wine production included the production of raisins, the distillation of alcohol used for ointments, perfumes, etc., and the use of wine for medicinal purposes. This last rationale continues to be a valid one. Wine in moderation, especially sherry wines, is considered by many to be part of a beneficial and healthy diet. In 1264, King Alfonso X of Castile reclaimed Jerez from the Moors. (In fact, throughout the year 2014, the City of Jerez will be celebrating the 750th year anniversary of this historical event). The city was re-named Xeres de la Frontera because it was on the border (frontera) between the Christian kingdom of Castile and the Moorish kingdom of Granada. From the beginning of this “reconquest” the Christian kingdom promoted and protected the local wine industry which kept expanding due in part to the proximity of the important ports of Sevilla, Cádiz and Sanlúcar de Barrameda. The discovery of the Americas opened new markets and business flourished. This was a period of great geographic discovery and epic voyages. Wine was essential as part of a ship’s supply since it was used as the ships´ballast. The casks were refilled with water when the wine was eventually consumed. The wine was also used for medicinal purposes to prevent scurvy. Sherry wine was part of Columbus’ second voyage to America (which departed from El Puerto via Cadiz) and also part of Magellan´s voyage around the world (which departed from Sanlúcar de Barrameda). Sherry was also very popular in England partly due to the seizure of the Spanish fleet’s cargo by pirates, who then sold it in London. 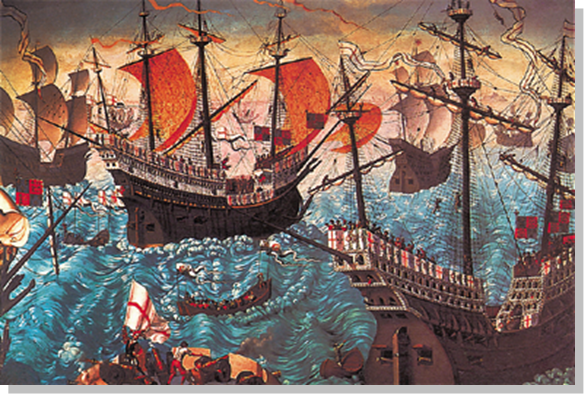 In 1587, Sir Francis Drake attacked Cádiz and “seized” more than 3,000 barrels of sherry which made this wine very fashionable especially in the English Court. Shakespeare also liked sherry and used to meet with his friend Ben Johnson at the Boar´s Head Tavern to drink a few bottles per day…that’s correct, “per day.” He mentions sherry in many of his works. as to sell all of the wine from the latest harvest. As a result, the wines had to be fortified, that is, alcohol had to be added to them, in order to preserve them during their long voyages. ry wines´identity, resulting in the wines that we know today. The possibility of storing wines from different harvests, and the need to produce consistent quality wines for the market, led to one of the most unique characteristics of sherry production: the aging method of Criaderas and Solera (which will be explained in a future article). As the wines were kept for longer periods of time in the casks, the concept of fortifying the sherry, which had previously been used mainly for stabilizing the wine for travel, became a common oenological practice. The addition of alcohol in different proportions gave rise to the great variety of sherry wines that are available today. We can conclude that Sherry wine´s identity has been shaped by our local history. Throughout the past 3,000 years different civilizations have each made their contribution to a uniquely cultural product. The production of wine in this region is an ancient industry that has never been interrupted and has always produced “traveling” wines. Xera = Ceret = Sherish = Xerez de la Frontera = Sherrish = Xerez = Sherry = Jerez, are all different names that have become an integral part of present-day city of Jerez de la Frontera. Very good article! I did put in on my Facebook, so my Dutch friends can read it!!! Thank you, I hope you also enjoy the upcoming articles on Sherry.